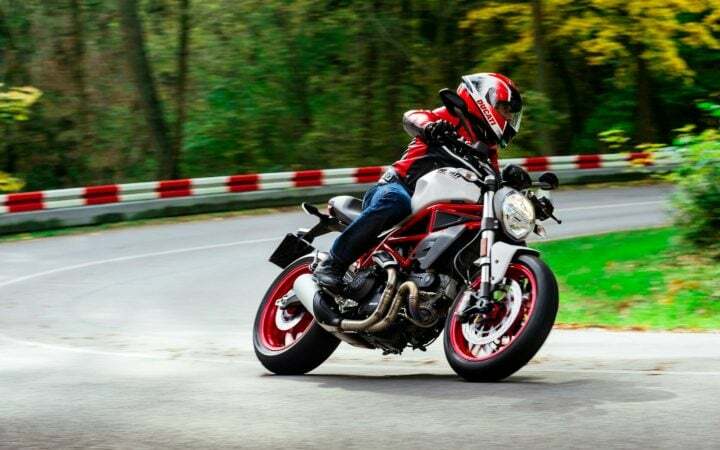 Ducati Monster 797 Launched in India! Ducati India today launched the Monster 797 along with the Multistrada 950 at an official event in New Delhi. 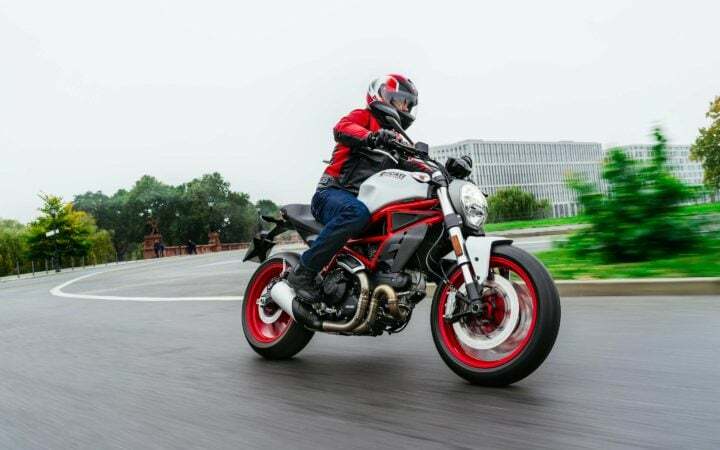 On sale for a price of Rs 7.77 Lakh, (ex-showroom, New Delhi), the new Ducati Monster 797 should make for a good option for those planning to enter the Ducati club. The 797 is basically a smaller, friendlier sister of the Monster 821 which, in turn, is basically a softer sibling of the Monster 1200. That said, the new Ducati bike in India is aimed at both noobs and seasoned riders alike. 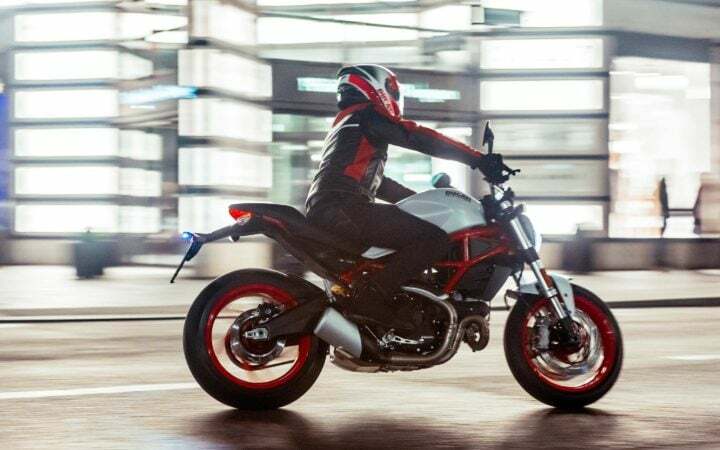 Here’s everything you need to know about the Ducati Monster 797 India price details. The 797 has gone on sale for a price of Rs 7.77 Lakh (ex-showroom, New Delhi). At this price point, this bike should come across as a good option to those looking for a middleweight streetnaked that is high on brand value and performance. Powering the India-spec Ducati Monster 797 is an air-cooled fuel injected engine that pumps out a max. power of 75 HP and a peak torque of 68.9 Nm. It comes mated to a 6-speed gearbox and benefits from a back-torque limiting clutch. ABS comes as a standard feature. You can find the full specs sheet towards the end of this post. The Monster 797 has a real-world top speed of over 200 KMPH. This bike is available in three colours. Also, you can have it in the Monster 797 Plus trim. The new 797 is the smallest bike in the Monster series. It made its public debut at this year’s EICMA Motor Show. The new Monster 797 finds itself slotted below the Monster 821. However, it looks much like the 821, whilst boasting a much simpler motor. In a typical Ducati fashion, the 797 flaunts a red Trellis frame. Other highlights include a muscular fuel tank and the trademark Monster headlamp. Instead of the 821’s double end-can, the 797 Monster gets a single end can. It also gets digital instrumentation, LED indicators and LED tail light. 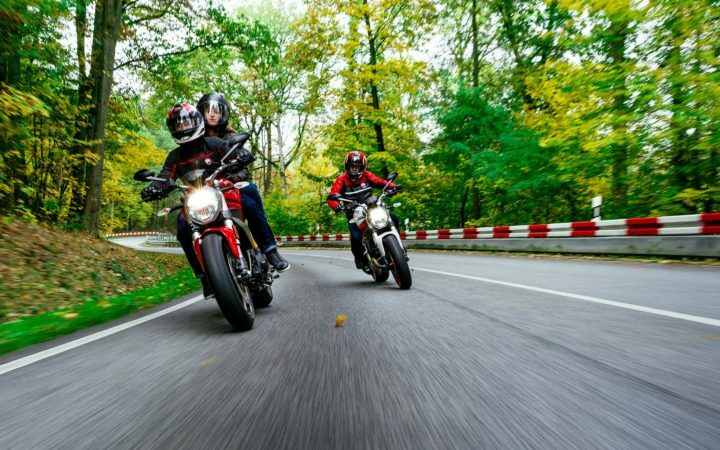 Stay tuned to Car Blog India for latest news updates on the Ducati Monster 797 India price and specifications.